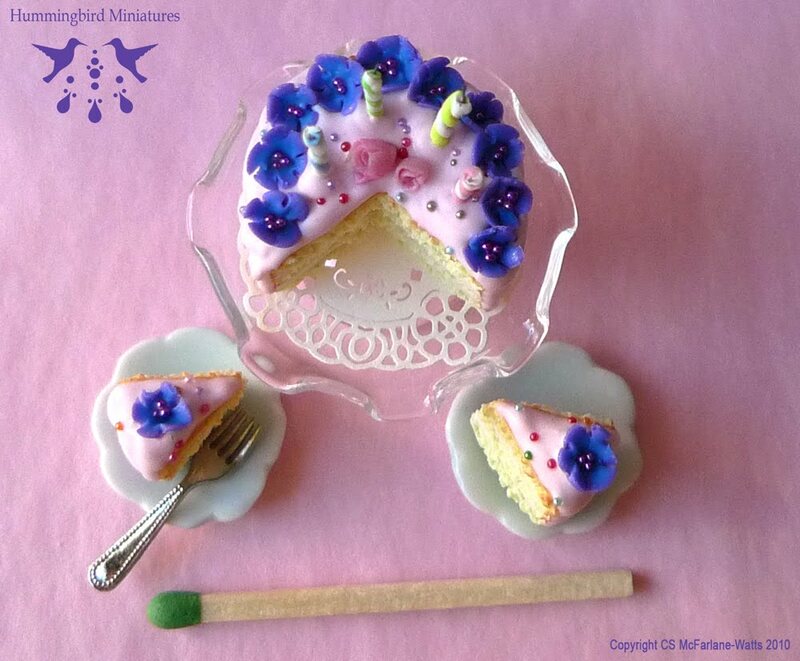 This summery Flowers & Sparkles Birthday cake was made for my sister Stephanie's birthday. 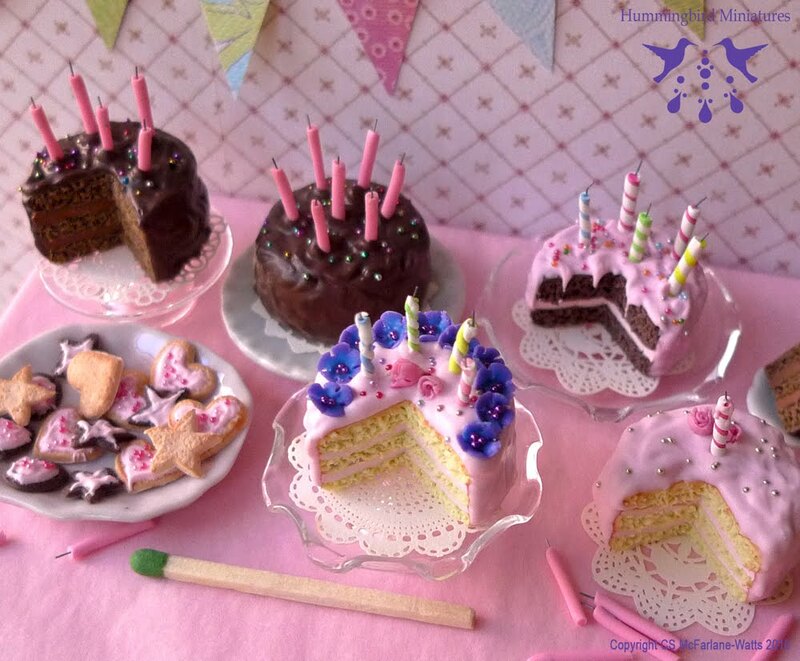 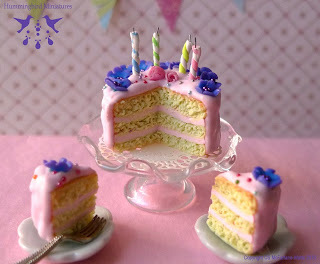 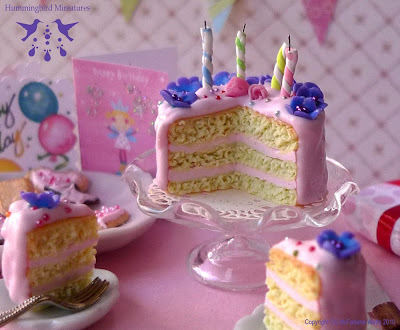 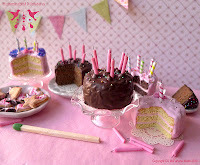 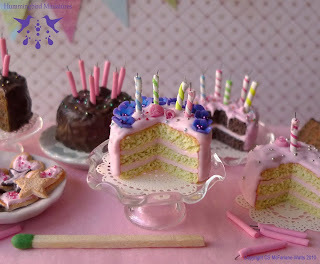 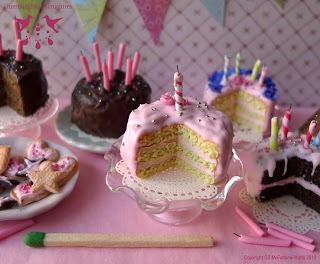 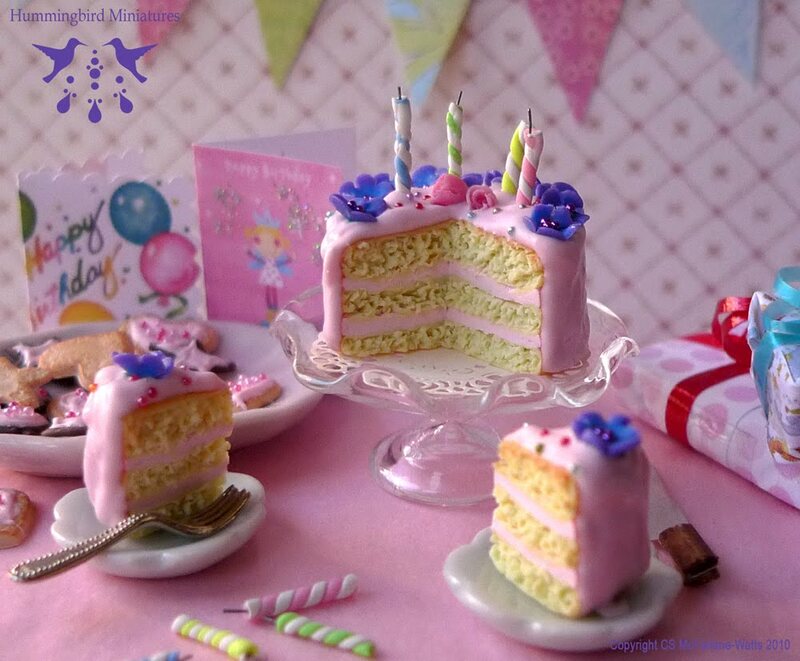 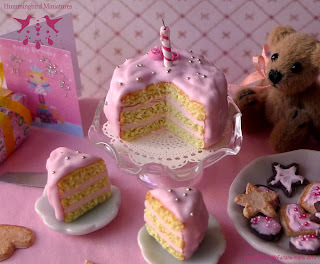 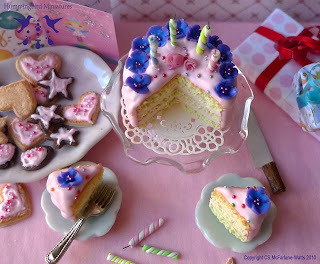 It is delicate 3-layered vanilla sponge, with pink sugar frosting, two little pink sugar rosebuds, a garland of sugar anenomes, rainbow sprinkles and fancy birthday candles. 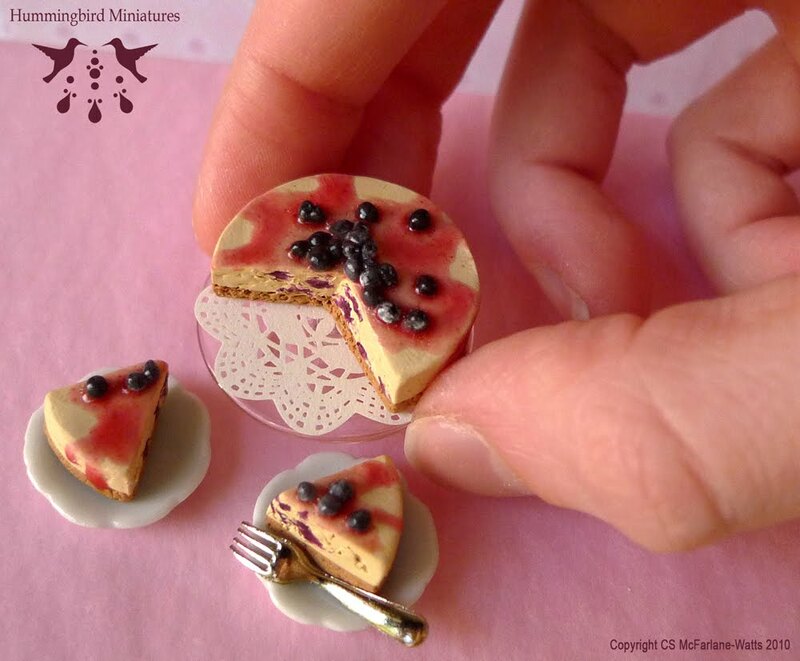 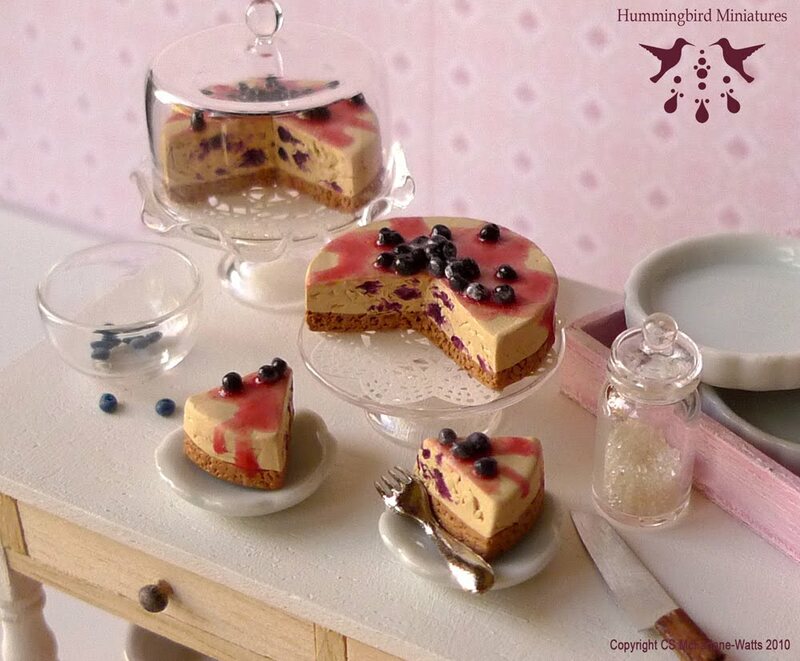 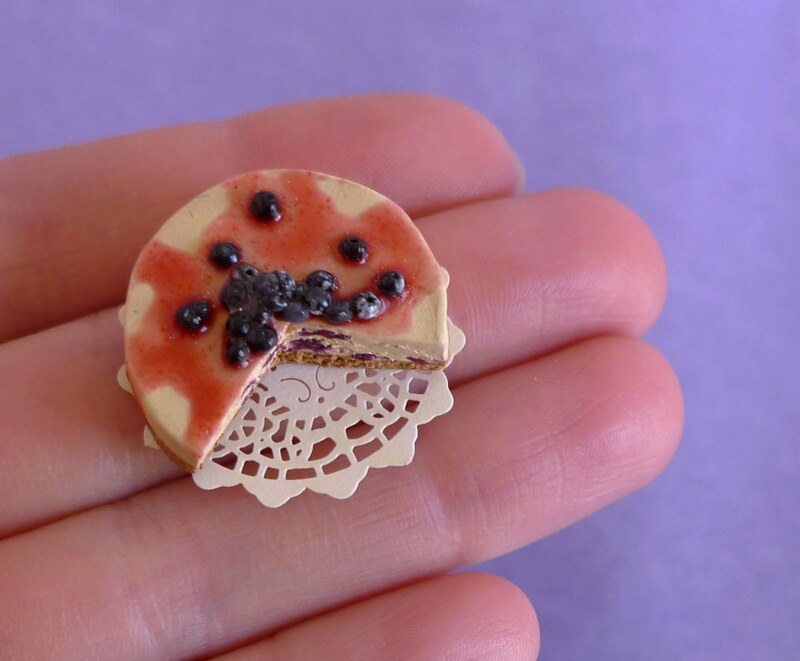 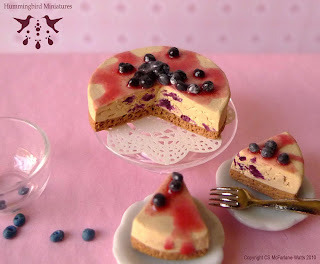 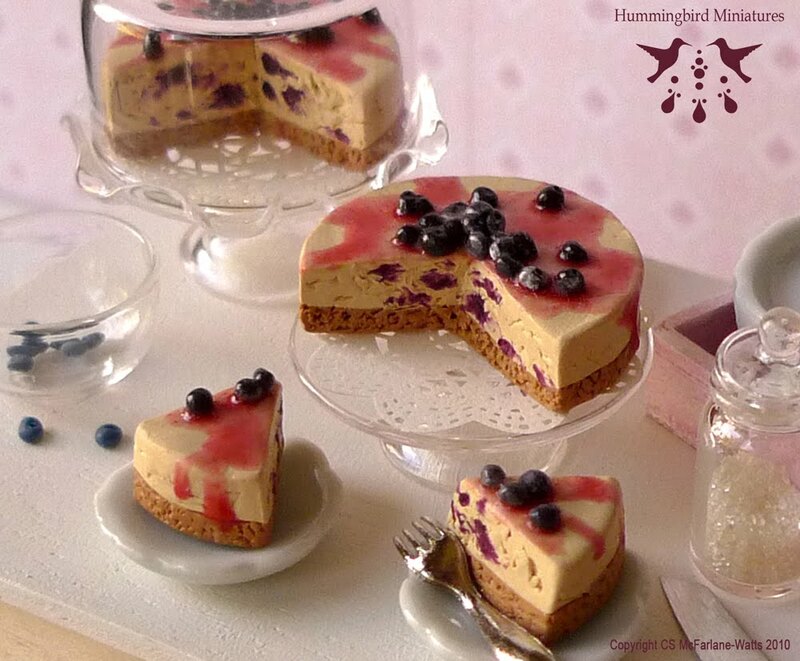 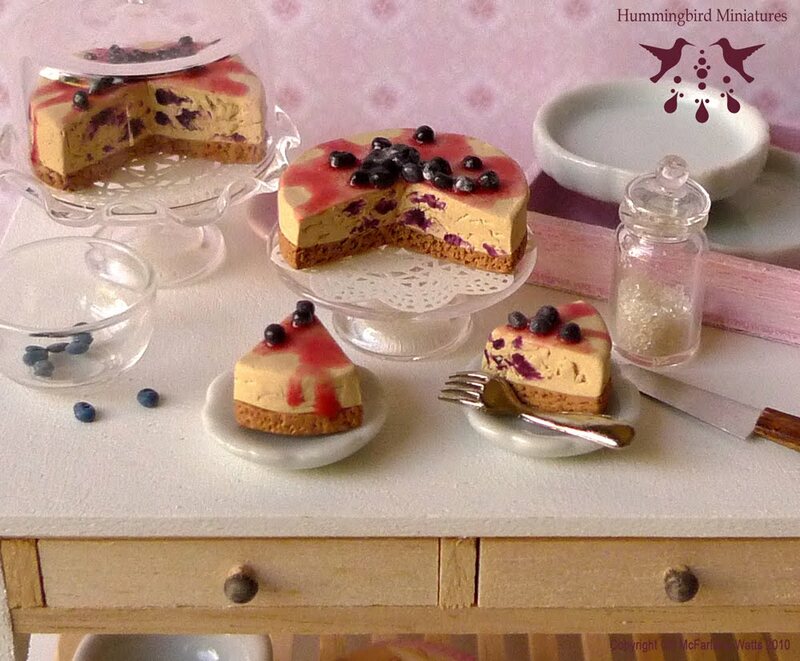 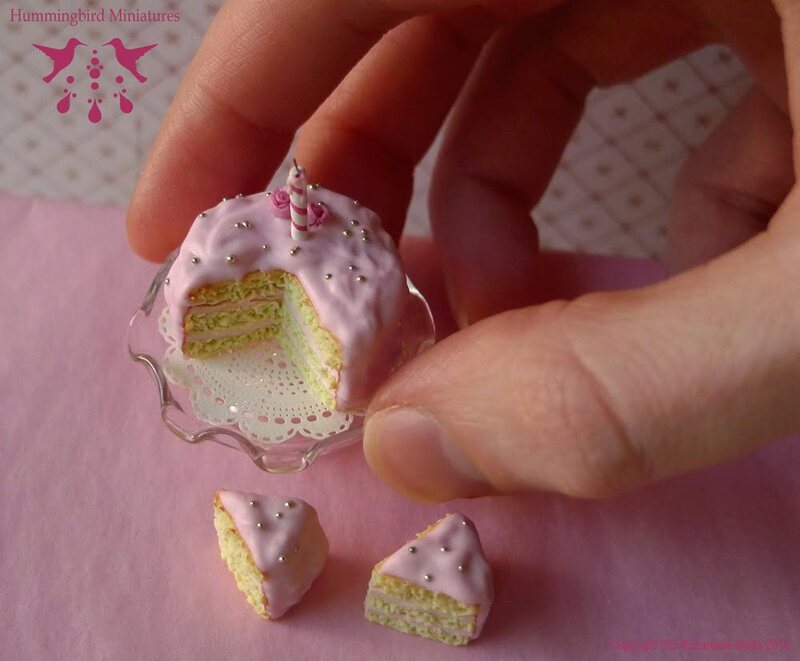 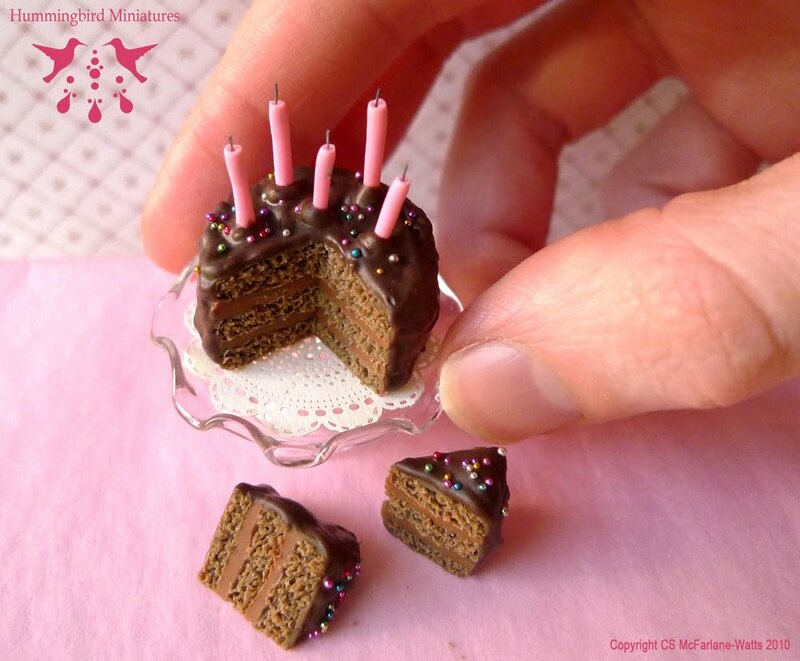 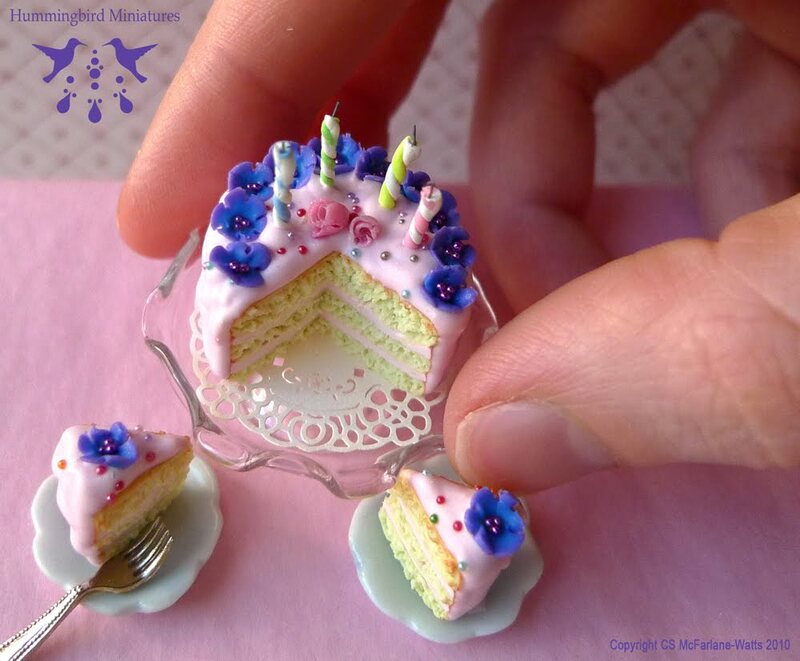 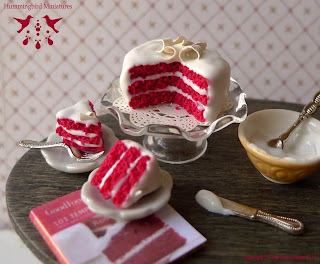 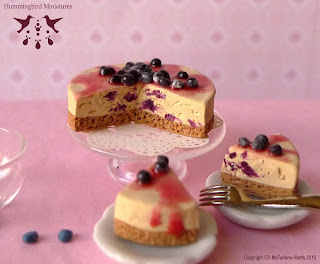 This is a 1:12 scale traditional American blueberry cheesecake made of Polymer clay. 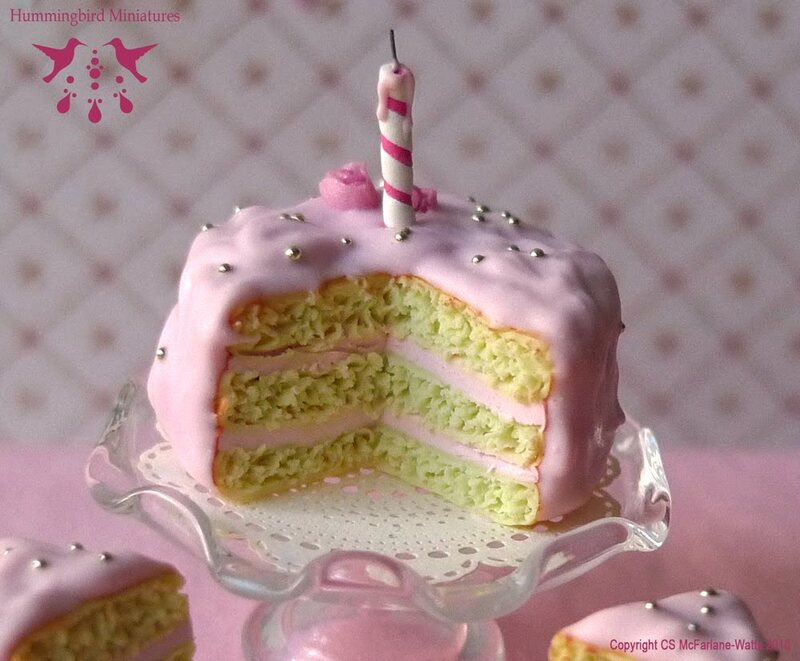 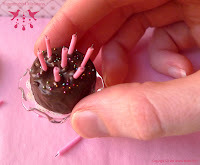 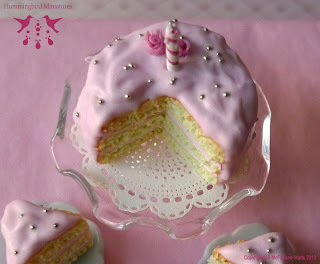 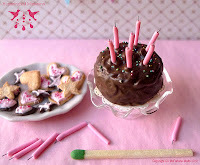 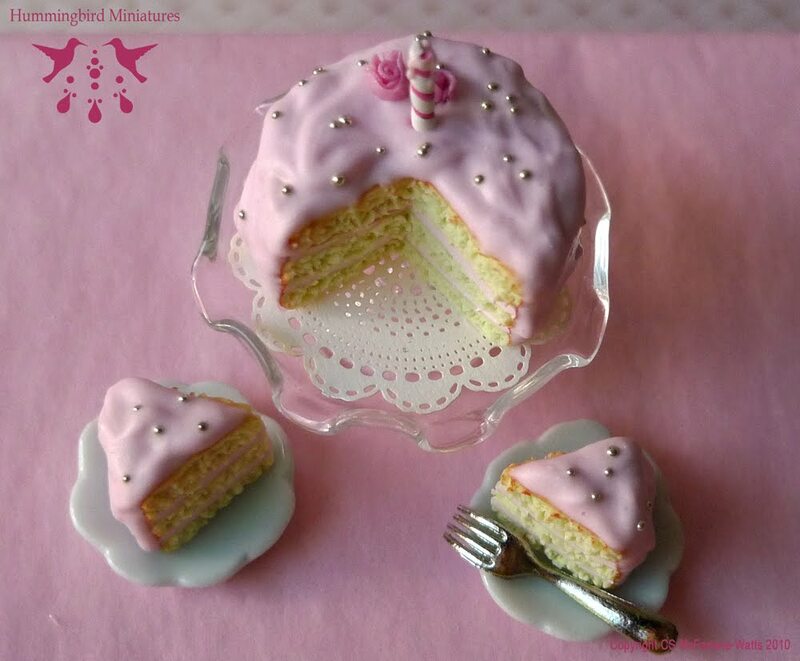 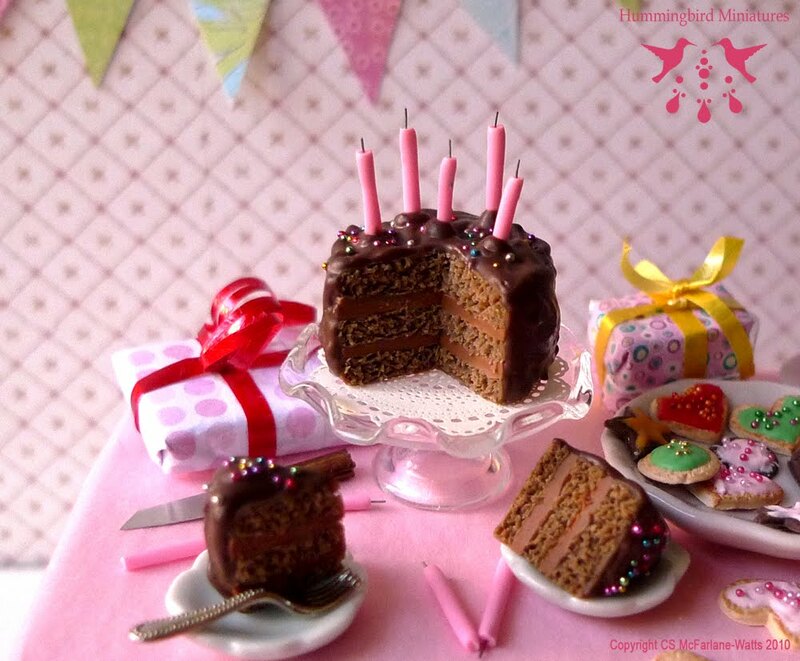 This adorable Pink Rosebud Birthday cake is delicate 3-layered vanilla sponge, with pink sugar frosting, two little pink sugar rosebuds, silver sprinkles and a pink birthday candle with dripping wax. 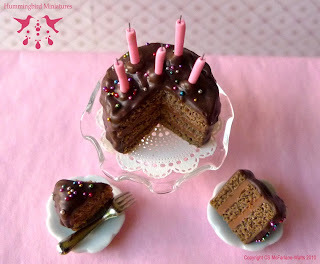 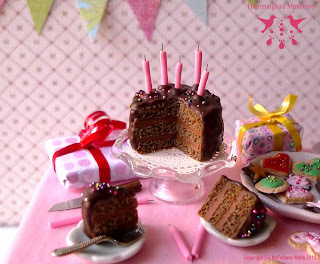 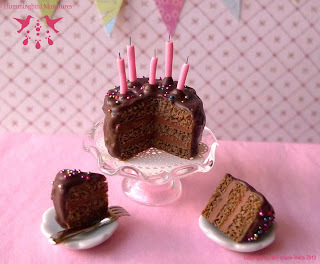 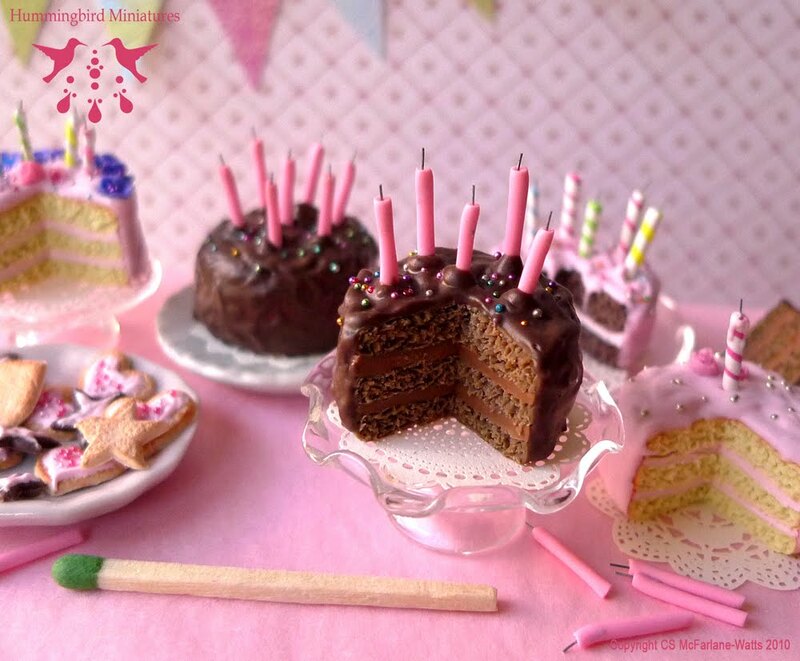 This beautiful Chocolate Fudge Birthday cake is moist-looking 3-layered chocolate cake, with fudge frosting inside and a chocolate frosting outside, colourful rainbow sprinkles and pink birthday candles. 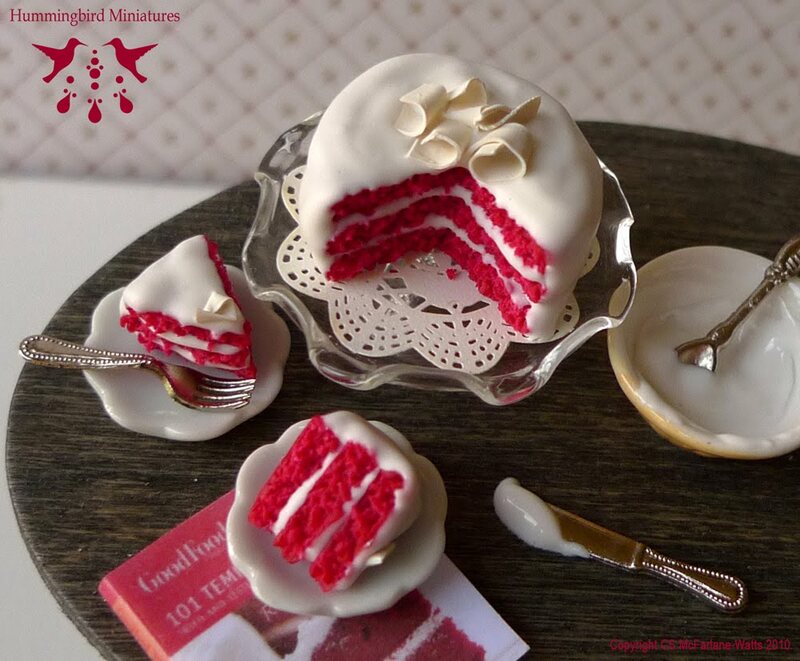 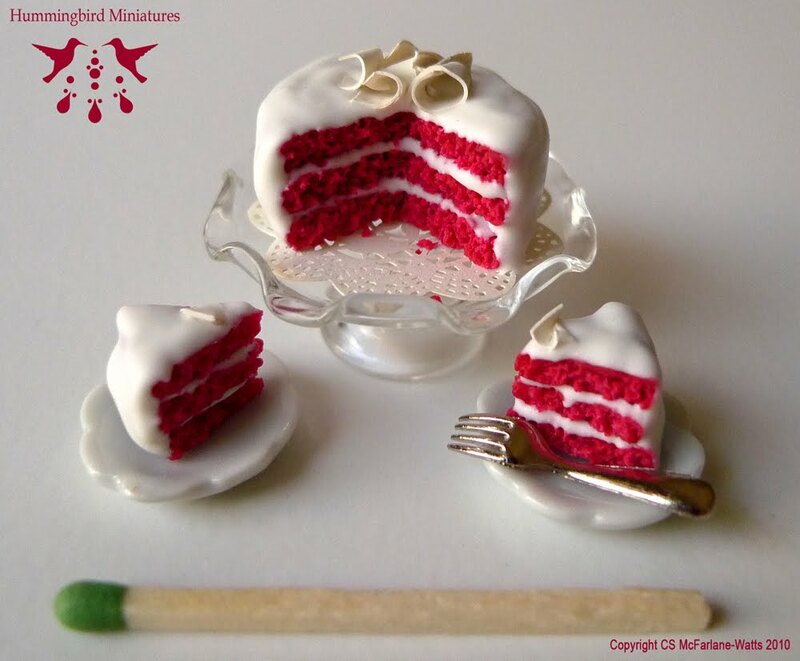 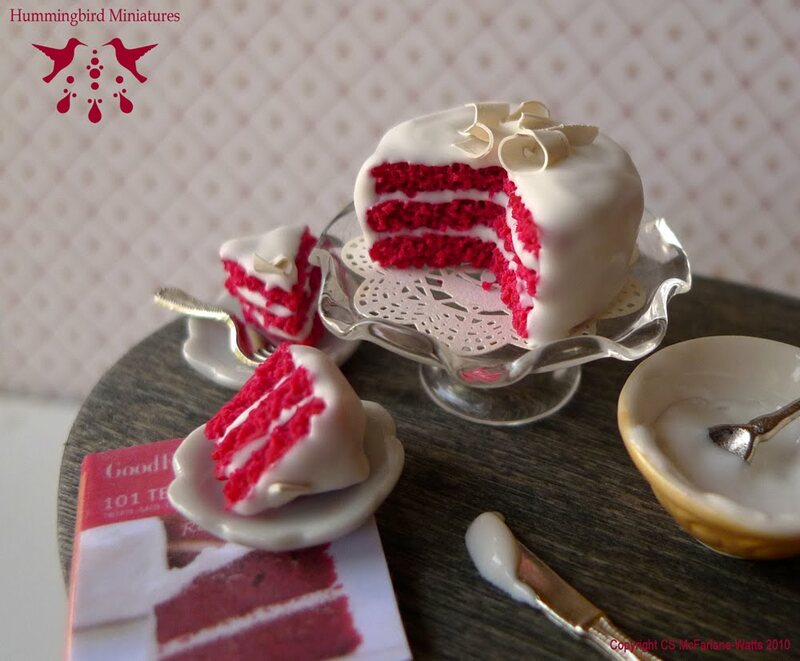 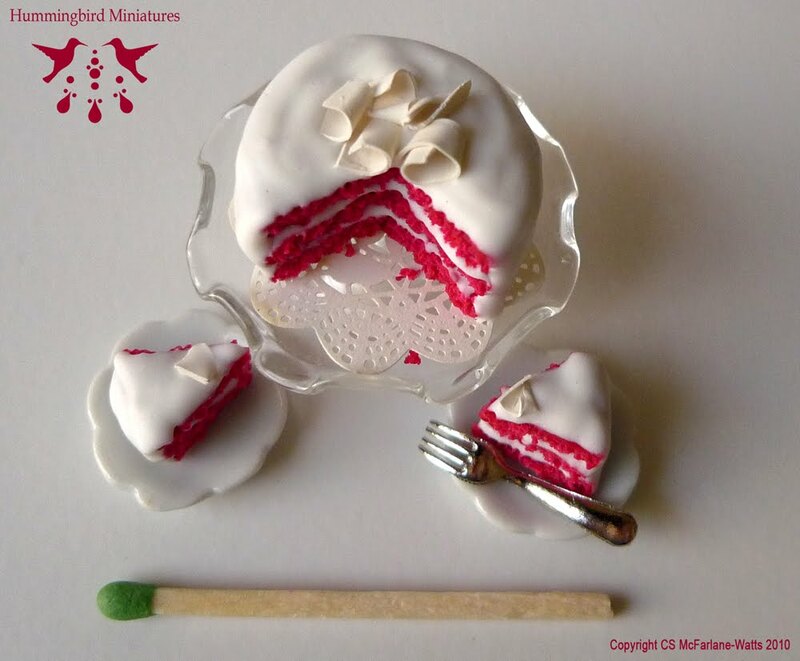 Already a very sought after Hummingbird Miniatures item.